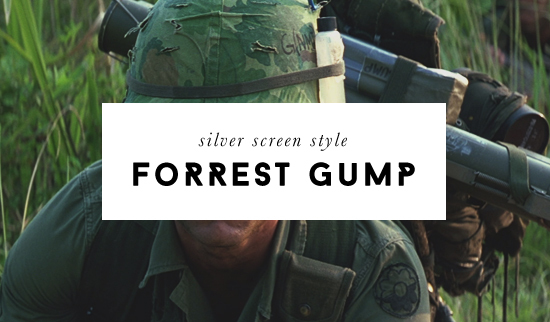 It's been a little while since I've posted a Silver Screen Style. I took a little break for February, but no worries — it's back! 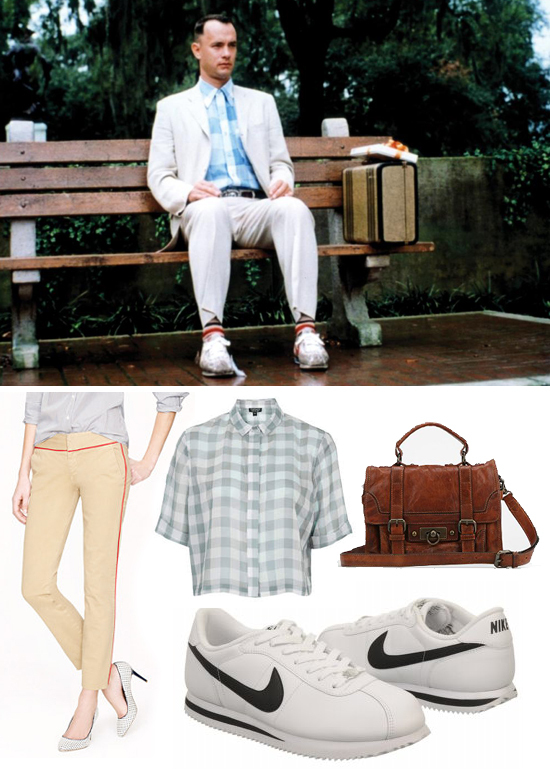 I really love the movie Forrest Gump. I really enjoyed it as a kid, but honestly hadn't watched it for a really long time (probably since high school?). I noticed a couple of weeks ago that it was on Netflix and put it on as background noise while I was working. Well, I ended up being glued to the thing as if I had never seen it before. This movie is so. Good. The depth of the characters and the cross-stories are amazing. By the end of the thing, I was crying. Crying! Over a movie I have seen a million times! But no shame. This is such a great flick. 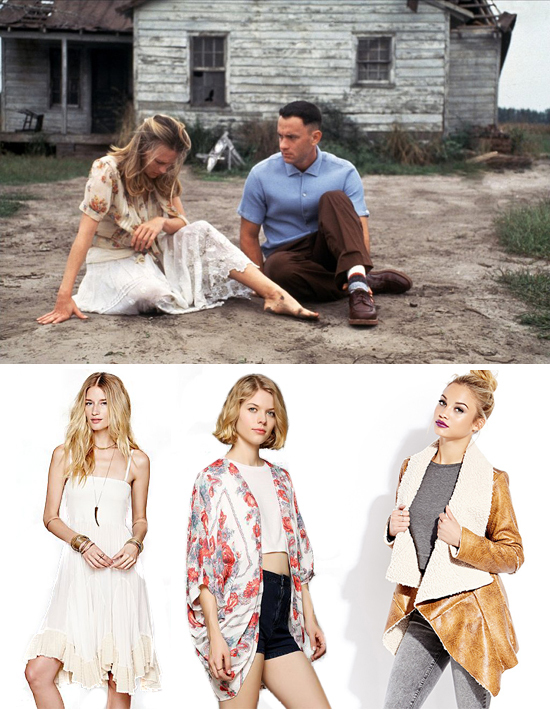 I remember as a kid loving Jenny's style. Granted, I'm not into the boho/hippie thing, but I specifically recall wanting the shoes she was wearing just as she was about to jump off the balcony. They were some silvery platform heels. And can't choke down fifteen Dr. Peppers? Then just pick up the lip gloss.